Entertain your child with the original stories and fanciful illustrations in children’s picture books from Nancyland Books, in San Francisco, California. Step into the world of the celebrated author, Nancy Guettier, with charming stories that both educate and entertain your children. Nancy would like to introduce the imaginative and talented illustrators who collaborated with her on her books. 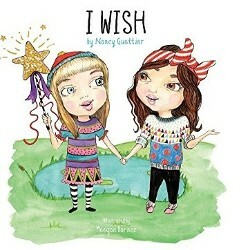 Read the charmingly rhythmic and interesting books of Nancy Guettier, a children’s author based in San Francisco, California. With more than 25 years of experience marketing and writing for children, Nancy understands what appeals to kids. She frequently does readings at Pottery Barn Kids store, and her work is available from Morgan James Publishing. Contact our children’s author in San Francisco, California, to request more information about reading her work.